Emine Bostancı received her B.S. degree in Electrical and Electronics Engineering from Middle East Technical University in 2007, her M.Sc. degree in Electrical Power Engineering from RWTH Aachen University in 2010 and Ph.D. degree in Electrical Drive Systems from Leibniz Hanover University in 2014. From 2013 to 2015, she was a Research Scientist with Volkswagen AG Group Research and from 2015 to 2017, she was a Visiting Scientist with University of Texas at Dallas and until May 2018 she worked as an Application Engineer supporting Ansys/Maxwell in North America with Ansys Inc. Her research focuses on design of electric machines, electric drives and low-frequency electromagnetic systems. Klaus Werner Schmidt received the Diploma and Ph.D. degrees in Electrical, Electronic and Communication Engineering from the University of Erlangen-Nürnberg, Germany, in 2002 and 2005, respectively. 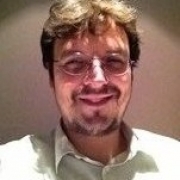 He was a post-doctoral researcher at the same department from 2005 to 2010 and received the Habilitation degree in 2011. After working at the Electronic and Communication Engineering Department and Mechatronics Engineering Department, Cankaya University from 2010 to 2017, K. W. Schmidt joined the Electrical & Electronics Engineering Department at METU, where he is now an Associate Professor. His research interests include intelligent transportation systems, supervisory control for discrete event systems, in-vehicle communication networks, industrial automation systems and industrial project control. In particular, the recent research of Dr. Schmidt focuses on control methods for autonomous vehicles and the reconfiguration and fault-tolerant control for discrete event systems. M. Mert Ankaralı, received his B.S. degree in Mechanical Engineering and M.S. degree in Electrical & Electronics Engineering, both from Middle East Technical University (METU) in 2007 and 2010 respectively. He received his PhD in Mechanical Engineering from Johns Hopkins University in 2015. Following his PhD, he was a Postdoctoral Fellow in the same department until 2016. Between 2016 and 2017, he worked as a senior research scientist for Desistek Robotics Corporation. In 2017, he joined the Electrical & Electronics Engineering Department at METU, where he is now an Assistant Professor. Throughout his academic and professional life, he focused on locomotion in robotic and biological systems. Due to his studies and accomplishments in this domain, he was named to the 2015 class of Siebel Scholars which is awarded annually for academic excellence and demonstrated leadership to 85 top students from world’s leading graduate schools. 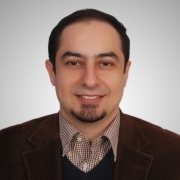 Dr. Gokhan M. Guvensen received his BS, MS, and Ph.D. degrees in electrical and electronics engineering from the Middle East Technical University (METU), Ankara, Turkey in 2006, 2009 and 2014, respectively. He worked as a postdoctoral fellow in the Center for Pervasive Communications and Computing (CPCC) in the University of California, Irvine (UCI), USA between 2015 and 2016, and he is currently a collaborator of the research group in UCI. In 2017, he joined the Electrical and Electronics Engineering Department at METU, where he is now an Assistant Professor. 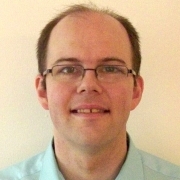 His research interests include the design of digital communication systems and statistical signal processing with a particular focus on modulation theory, next-generation mobile communication techniques, iterative detection and equalization techniques, information theory, and radar signal processing. Emre Özkan received his B.S. and Ph.D. degrees in Electrical and Electronics Engineering from Middle East Technical University, Ankara, Turkey, in 2009. Between 2009 and 2011, he worked as a postdoctoral associate in Division of Automatic Control, Department of Electrical Engineering, Linköping University, Sweden. Between 2011 and 2015 he worked as an Assistant Professor in the same group. In 2015, he worked as a visiting researcher at Signal Processing and Communications Laboratory at University of Cambridge. He is currently a collaborator of the same group. 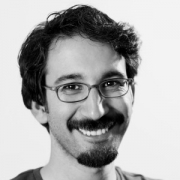 His research focuses on statistical signal processing, estimation theory, sensor fusion, Monte Carlo methods (Particle Filters, Markov Chain Monte Carlo) and its application to Bayesian inference. Elif Vural got her B.S. degrees in Electrical and Electronics Engineering and in Mathematics in 2006, and her M.S. degree in 2008 from METU. 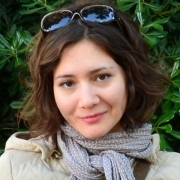 After getting her PhD degree from Ecole Polytechnique Fédérale de Lausanne in Switzerland in 2013, she worked as a post-doctoral researcher in INRIA in Rennes, France until 2015. 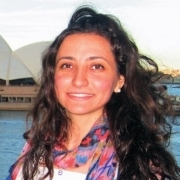 Sevinc Figen Oktem received her Ph.D. from the University of Illinois at Urbana-Champaign (UIUC) in 2014, and a B.S. and M.S. from Bilkent University, in 2007 and 2009, respectively. Her research spans the areas of computational imaging and inverse problems, statistical signal and image processing, and optical information processing. Her main research interests are the development of novel sensing and imaging techniques, as well as inversion methods, for emerging remote sensing and imaging applications. 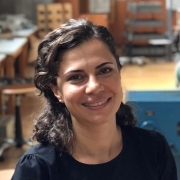 Before joining METU, Dr. Oktem was a Post-Doctoral Research Associate with the NASA Goddard Space Flight Center, where she worked on the development of computational spectral imaging techniques for high-resolution solar imaging. Earlier at UIUC, she was selected to the "List of Teachers Ranked as Excellent by Their Students'', and was a recipient of the Professor Kung Chie Yeh Endowed Fellowship in 2012, and a NASA Earth and Space Science Fellowship from 2012 to 2014. Ozan Keysan received his Ph.D '13 in the University of Edinburgh, UK on superconducting generators for wind turbines. He worked in various projects on development of wave and tidal energy converters and direct-drive wind turbines. 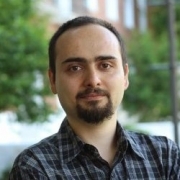 Murat Göl received his Ph.D. from Northeastern University, Boston in 2014, and his M.Sc. and B.Sc. from Middle East Technical University, Ankara in 2009 and 2007, respectively. 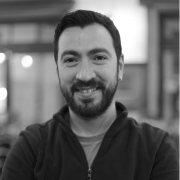 He was a research assistant in Northeastern University between 2010 and 2014, and a researcher in the Scientific and Technological Research Council of Turkey between 2007 and 2010. His research interests include power systems analysis, power system state estimation, computational methods applied to power systems, smart grid and power quality. Selçuk Yerci received his Ph.D.'11 in Electrical Engineering, Boston University, Boston; M.S. and B.S. both in Physics, Middle East Technical University, Ankara in 2004 and 2007, respectively. After Ph.D., he worked was postdoctoral researcher in Mechanical Engineering at the Massachusetts Institute of Technology, Cambridge. His research interests include photovoltaics and photonics, in particular silicon, perovskite, thin film solar cells and light management in solar energy systems. 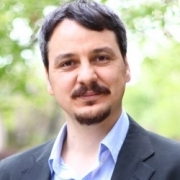 Serdar Kocaman received his Ph.D. in 2011 and his M.S in 2008, both from Columbia University. In 2007, he completed his double degree, B. Sc. in Electrical Engineering and B. Sc. in Physics both at Bogazici University, Turkey. After he got his PhD, he became an adjunct assistant professor at Columbia University and worked on on-chip linear optical quantum computing and photonic crystal superlattices. He has also led the NSF (National Science Foundation in US) I-Corps program for the Columbia University team between 2013 and 2014. 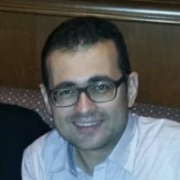 Serdar's research focuses on theoretical and experimental investigations of quantum technologies based on semiconductor and optical systems.